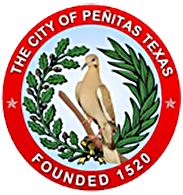 The City of Peñitas is governed by a mayor and City Council who are elected by the people of the city. The mayor and City Council acting together are the governing body. All governing body members serve four-year terms. The governing body, being the elected representative of the people, adopts all ordinances and resolutions and determines the general goals and policies. View the city's Charter .